The blog ranking saga continues! To receive our posts direct to your inbox, just sign up for our blog – and receive the next installment of this series first. Whether brown or white, it is still sugar, no? We all know that whether you eat white chocolate or dark chocolate, that is still a lot of additional calories in your daily diet. The same with sugar – whether brown or white, both sweeten your dish. Similarly, Google PageRank uses raw numbers of incoming links and unique IP links to rank a blog (see right). The algorithm used for Google PageRank was inspired by bibliometrics research. 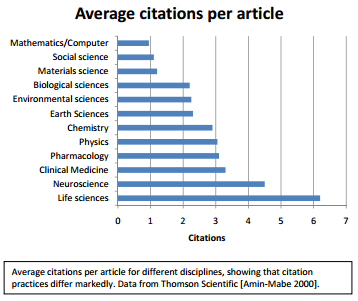 The basic approach is that not all citations should count equally, so those from websites ranked highly in their own right should have a higher value. Link Scoring or tracking unique IP links raises concern about multicollinearity when using a regression (i.e. statistical procedure). In short, multicollinearity occurs when two or more predictors in the model are correlated. Here, Link Score and Google PageRank both provide redundant information to predict a blog or webpage’s importance. Backlinks also have major shortcomings as indicators of blog quality. For instance, bad blog posts may be frequently cited in rebuttals or by bloggers posting about shortcomings, etc. Gawker or celebrity blogs which present a lot of gossip, but not new work are more frequently cited than finance or law blogs. Unless numbers help you improve, who cares? 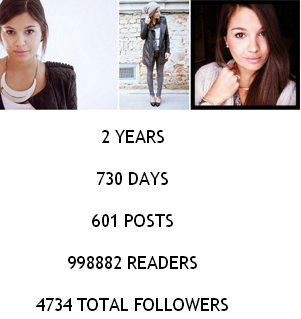 The DariaDaria image provides some raw data about the blog’s two-year history. However, by itself such information is of limited value because one does not know how each blog entry was received by the targeted audience. An example might be how a certain type of headline can help garner more comments, such as using a brand name and keeping it short. In fact, an upcoming blog post of ours explains a few things about that, but if headlines matter – and they do – then you want to repeat techniques that result in higher engagement levels, such as more reader comments. Moreover, postings about certain topics may increase the post’s number of Likes or shares on social networks such as Google+ or Twitter. Such indicators focus on the impact of different content. 1. Define the question to be answered: What is the ranking supposed to convey to those reading the numbers? Consider your audience and their information needs for improving their batting average. 2. Choose the right data: While a gourmand may beleive more is better, gourmets value quality data. This may partly be due to lack of clarity regarding use of data. Based on the question that should be answered (point 1 above), it should be possible to determine what kind of data must be collected. 3. Know your rankings: Rankings are a tool. Yes, Virginia, it is worth improving one’s batting average, but before doing so ensure that you read the fine print – especially anything you can about what type of practice will help you the most (i.e. methodology). The slides below include a short video that outlines why you should refrain from using rankings or social media monitoring tools that neither disclose their methodology used nor the assumptions made while calculating the numbers (e.g., see Klout or Facebook Insight). Find the 8:11-minute Podcast about the slideshow and the Klout video, below. What is your most important metric when evaluating a blog? Please leave a comment! Source: @ComMetrics | Have any rankings to be proud of? Previous post: Are blog rankings just distracting? Next post: Mashable versus Time: Does BlogRank matter?